Formatt Fog Filters are excellent filters when you want to recreate the effects of natural fog. It generates a soft glow and flare - producing a warm romantic tone. A natural fog causes lights to glow and flare. Contrast is lower, and sharpness may be affected as well. If you think of a perfume atomizer, that is what a Fog filter will resemble. Like tiny droplets in the air, they create a soft image that is useful when you need to recreate the effect of humidity in a tropical scene. 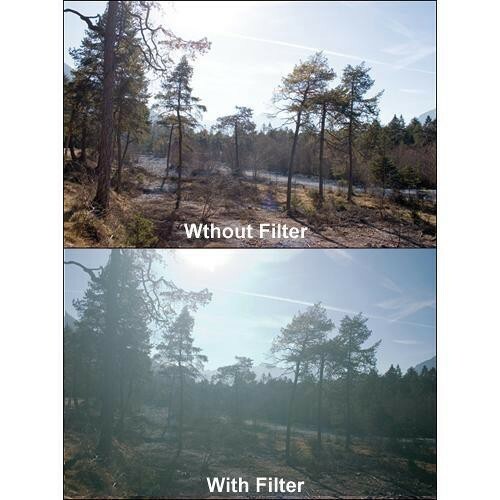 Formatt Fog Filters are also available as Double Fog Filters.